Streetpass people from around the world and possibly win a Wii U! 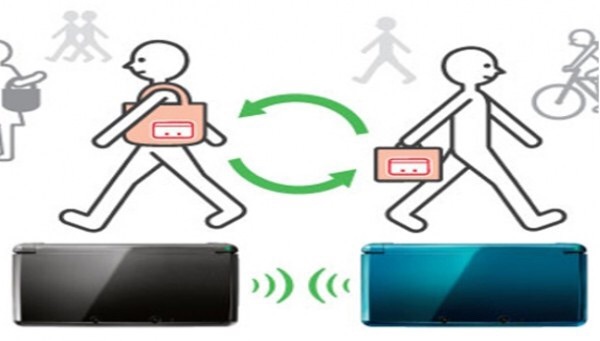 Nintendo recently released a press release that details plans for free Wii U sweep stakes by using your 3ds to street pass at a Nintendo Zone location between now and January 4th 2015 , and as a bonus you can street pass people from around the world too. I will definitely be going to Starbucks or McDonald's this weekend to get some global street passes , who knows you might street pass me! Take your Nintendo 3DS to a Nintendo Zone between 12/24/14 and 1/4/15, and you’ll be able to StreetPass with other Nintendo fans from across North America and Europe. It’s all part of the World StreetPass Holidays, a celebration that instantly connects user Mii Characters from across state lines and national borders. Here’s an insider tip for international StreetPass success: try to get to a North American Nintendo Zone in the morning for a better chance of getting European StreetPass tags. Go to the Nintendo Zone page to learn more about the World StreetPass Holidays and to find a Nintendo Zone near you. Also, when you visit a Nintendo Zone and receive at least one StreetPass tag between December 24, 2014 and January 4, 2015, you'll be entered into a sweepstakes to win a Wii U system! This sweepstakes requires a Nintendo Network ID--make sure to set this up on your Nintendo 2DS or 3DS system before you StreetPass. NO PURCHASE NECESSARY. Open to US & CA residents (excl. Quebec). Void where prohibited. To enter via a Street Pass Relay Point, visit a Nintendo Zone and receive a StreetPass tag between 12/24/14 and 1/4/15. Or enter by postcard (must be postmarked between 12/24/14 and 1/4/15 and rec’d by 1/11/15). Limit 1 entry per person, regardless of method. Math Skill Test required for CA residents. 10 randomly selected winners will each receive a Wii U system (ARV each: US$299.99). Odds of winning depend on number of eligible entries received. For complete rules and eligibility requirements, visit http://www.nintendo.com/corp/world-streetpass-holidays-sweepstakes/ or send self-addressed stamped envelope to Sponsor: Nintendo of America Inc., 4600 150th Ave. NE, Redmond, WA, USA. ©2014 Nintendo.